^ 1.0 1.1 "The Institute for National Security Studies", chapter Israel, 2010, 存档副本 (PDF). [2010-09-21]. （原始内容 (PDF)存档于2010-12-14）. September 20, 2010. ^ The Israeli Ministry of Foreign Affairs 互联网档案馆的存檔，存档日期2006-08-18. 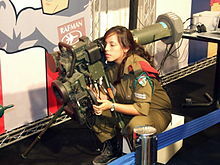 ^ The Israel Defense Forces. Israeli Ministry of Foreign Affairs. [2006-10-21]. （原始内容存档于2007-03-01）. ^ "以色列國防軍官方網站" 存档副本. [2006-08-14]. （原始内容存档于2006-08-13）. The Sword and the Olive, Martin Van Creveld, ISBN 1-891620-05-3. A thorough and critical history of the IDF from the early defence leagues, and up to the late 1990s. 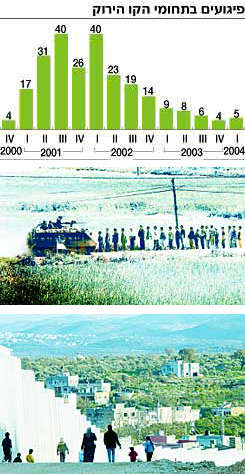 Haaretz report: "From 40 attacks per quarter to 5 attacks per quarter" :English - Hebrew[永久失效連結] - Graph 1: Thwarted attacks (yellow) vs successful attacks (red) - Graph 2: Suicide bombing within the "green line" per quarter .